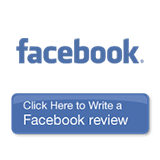 See what our Patients are saying about us! 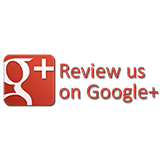 Tell us about your visit on Google Plus, Yelp or Facebook. AMAZING staff and WONDERFUL environment. Sandra is excellent and I love coming back for my cleanings. I love coming to the office for my dental visits. Everybody is friendly and the place is beautiful and spotless. Lovely office-neat as a pin. If you have a short wait (I never have) you’ll be very comfortable. Excellent service. I’m very happy and satisfy. Congratulations. Very professional and relaxing environment. Very happy I went will definitely continue to go there. Friendly, professional, and caring staff. Can not say enough good things about this office. I absolutely love Dentist Art and everyone there. They’re super nice and they really care for their patients. It’s been a blessing for me to be treated by such amazing doctors and their professionalism and knowledge. Thank you so much for the time and attention paid to resolve my dental issue. I know my issue was difficult and out of the ordinary but this did not deter the team from helping me. Everyone at DentistArt always treat me very kindly every time. Very professional and do an excellent job in every aspect. Dentist art is the utmost friendly, clean, professional and caring dentist I’ve ever been too. The Staff is nothing but friendly and helpful with any questions. The dental work is top notch and the doctor asks repeatedly if you have any pain or discomfort through the processes. The facility is immaculate all the time, very modern and well kept in both the waiting area and the patient area. It’s a nice “open concept” area in the back with all the up to date technology. Highly recommended. Dr. Ochoa and his staff are very professional. I am very pleased with my procedure. 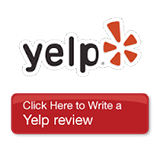 The staff and the Dr. are so personable, kind and professional. Even though I am normally nervous at the dentist the staff made me feel so comfortable! What amazed me was that my previous dentist told me I needed a new crown and I asked the Dr. for his opinion. He told me there was no need to get it now, nothing was broken and I did not to fork out $$$ for something that I didn't really need at this time- a dentist with integrity!!!!! I am going to have everyone in my family go to DentistArt!!! Dentist visits are stereotypically scary, unpleasant, etc. While I've never really subscribed to that, I particularly love this place. It's more of a spa experience than a dental one. The place is beautiful, comfortable and soothing. The staff is friendly and extremely helpful. They have the latest technology and equipment. They always see you quickly. They even let you pick what to watch while they take care of you. They found 7 previously undetected cavities (oops) but I looked forward to and enjoyed coming back to getting them all filled. I absolutely LOVE the Dentist & the Staff Very professional! The office was so clean & they treated my daughter who is almost 4 years old like it was their own child. The dental hygienist was absolutely amazing ! I couldn't wait to hug her !! My Daughter was so calm and comfortable there& she can't wait to go back . I'm am looking forward to my appointment next week. Thank you for making us feel so comfortable on our first visit. You guys are the best !!!! This was the most awesome experience at a dentist office. Believe me I have done my full share of dentist offices… starting before I was born it seems. Anyway this place is so awesome you won't even know you are at the dentist office. I could never see anyone other than Dr. Ochoa now. He's amazing and thorough, he sees my girls, too. And what other dentist has entertainment for kids while moms and dads get their teeth cleaned? Thanks Luz Marina Garcia for getting us in there! Un sitio muy bien organizado, elegante, hecho con mucho gusto en donde se consigue un trabajo de excelencia profesional. Best dental experience I have ever had! ALL staff was friendly and knowledgeable. Most gentle cleaning and exam. State of the art technology and overall REALLY nice facility. Never have found a more professional and caring dentist and staff! The best!! Very professional attention, they make you feel very comfortable with great dentists they know what the do and what you need.....if you scared of dentists.. you should visit DentistArt. Never have found a more professional and caring dentist and staff! I even picked my own movie to watch and was treated like a VIP. I got my Invisalign done at Dentist Art & couldn't be any happier with my results, in 6 short months I had the smile I've always wanted! 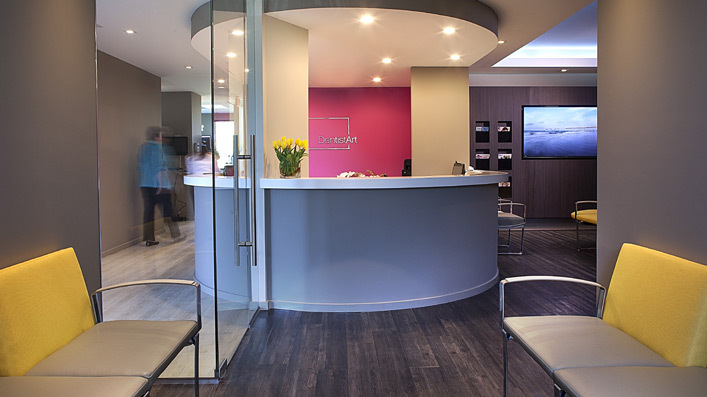 Not to mention the wonderful staff and beautiful office, Dentist Art exceeded my expectations. Great group of people!! Got to love them!!! Loving friendly, clean place! I got my wisdom teeth removed by Dr. Navarrete at DentistArt a few weeks ago and I really cannot say enough about how easy, fast and painless the whole experience was. I was actually in shock by how easy it was considering I had heard getting your wisdom teeth removed can be intense. The office atmosphere is really calming and everyone that works there is sooo friendly! Definitely go here.